Vietnam announced a ban on imports of glyphosate based herbicides | S.A.F.E. On Wednesday afternoon, German chemical giant Bayer sustained another costly legal defeat related to Monsanto, the US seed and pesticide giant it subsumed last year. A US District Court jury in San Francisco awarded plaintiff Edward Hardeman $80.3 million—including $75 million in damages—after ruling that Monsanto’s blockbuster glyphosate-based Roundup herbicides had caused his case of non-Hodgkin lymphoma. US District Judge Vince Chhabria declared it a “bellwether” case, meaning it gives both the plaintiff’s and defendant’s attorneys the opportunity to test their arguments and shape their strategies for other litigation; there are currently 1,600 cancer cases related to glyphosate waiting to be heard by the Northern California District’s federal court. On Thursday, yet another glyphosate trial opened in the Superior Court of California for the County of Alameda. The plaintiffs, a married couple named Alva and Alberta Pilliod, claim long-term exposure to Roundup herbicide caused them both to develop non-Hodgkin lymphoma. Theirs is the first of more than 250 Roundup cancer cases consolidated before Superior Court of California Judge Winifred Smith. In the first part of the Hardeman trial, which wrapped up on March 18, the jury ruled that the plaintiff proved “by a preponderance of the evidence” that his exposure to Roundup was a “substantial factor” in causing his non-Hodgkin lymphoma. (Read my piece on some of this evidence here). 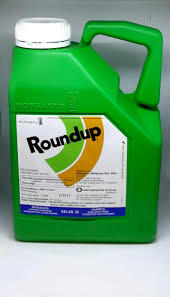 In the second phase, the same jury was asked to decide whether Hardeman had shown that Roundup is a “defective” product, that it “lacks sufficient warnings of the risk of NHL” and that “Monsanto was negligent by not using reasonable care to warn about Roundup’s [non-Hodgkin lymphoma] risk.” The jury ruled in Hardeman’s favor on all three. Overall, since finalizing its deal to buy Monsanto in June 2018, Bayer has seen its market valuation drop from about $100 billion to an estimated $60 billion, according to calculations by Jonas Oxgaard, an analyst who covers the chemical industry for the brokerage firm Bernstein. In response to Wednesday’s decision, the government of Vietnam announced a ban on imports of glyphosate-based herbicides. If juries keep deciding against Bayer and awarding large damages, the company faces catastrophic losses. According to the Wall Street Journal, Bayer still faces lawsuits from 11,200 farmers, gardeners, and other Roundup users. If just about 750 of them reach the $75 million to $80 million level awarded to Hardeman and Johnson, total payouts would approach $60 billion—equal to Bayer’s current market valuation.